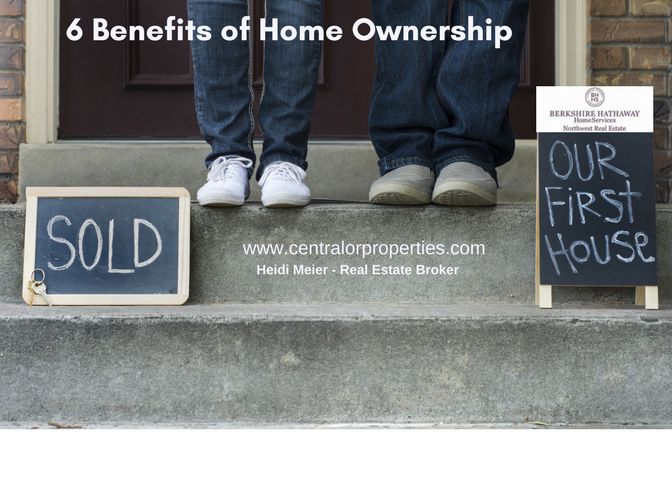 Home ownership is not for everyone, but for those who want to experience the Joys of owning your own home. Here are 6 reasons why it is a good idea. - Tax Savings: The government rewards homeowners by providing excellent tax benefits. The interest paid on your mortgage and other home -related expenses can generally be deducted from your income when you file your taxes. - Appreciation: Home values have a well-documented history of going up over time. This increase becomes equity you can benefit from when you refinance or sell the home. - Equity: Renting has often been compared to paying 100% interest, but when you own a home and a mortgage is in place, a portion of your payment goes toward the principal balance on your loan. This builds your equity and acts as a savings account. - Roots: People who own rather than rent stay in their homes 4 times longer on average. This provides an opportunity to get to know your neighbors and connect with your local community. - Happiness: The feeling of owning your own home is unmatched. You can fix it up, make it your own, get a dog, or plant a tree of you want. Bottom line, your home is yours, so you can decorate it (or not) as you like. - Education: Research shows children of homeowners earn higher test scores and graduate at a higher percentage than those of renters.